For once I think It may actually feel like a Friday for me! And a welcomed with open arms Friday at that! I'm so so ready to carve out a little "Us" time this weekend. It's been so non stop for us the past few weeks. I'm thinking at least one nighttime stroll on the beach would be perfect, and some Indian food from our absolute favorite place, and maybe even a Netflix movie...yes, I know, we're dripping with decadence over here! Now for my Favorites! We are huge fans of fake cakes and we make them any chance we get...and we even teach classes featuring faux cakes. 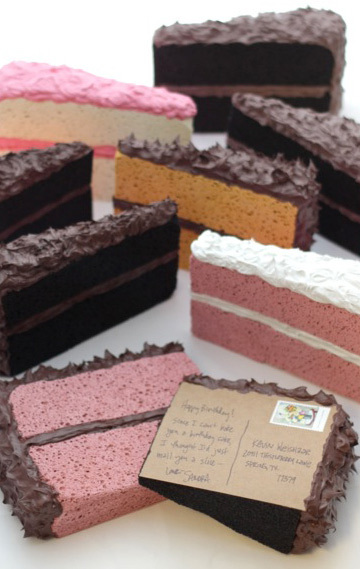 So you better believe that I love the sweet geniuses behind these cake slice postcards! And I'm loving them for sharing and making it a tutorial so that we can all join in the fun. I think there will be many smirking mail carriers in the weeks to come. What a fantastic banner! The colors, the font, the foil letters, the golden tassles...and of course...the message. I'm a big fan of messages. Saying the right words to elicit a positive response. A little bit of literal encouragement goes a long way. Even with the advent of Pinterest to handle my endless inspiration, I still NEED an actual and tangible inspiration wall. I don't think I'll ever possess one as large as the one that spanned an entire gargantuan wall in the back of our retail shop years ago...but I've still got one...even if it is only the size of a bulletin board. 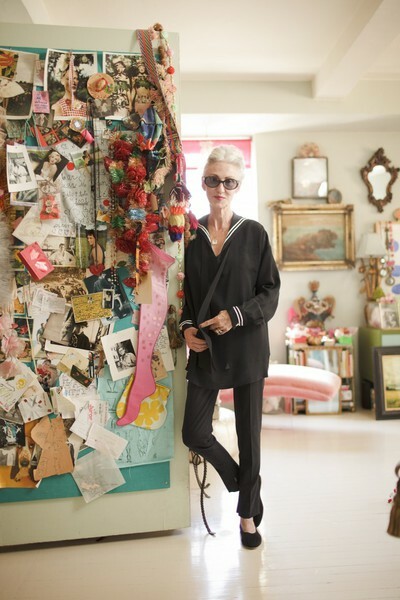 Anyway, stylist Linda Rodin is a girl after my own heart. Check out this door in her NYC apt. I can't put a finger on the exact elements that make this a perfect bit of eye candy for me...but I will say that if you removed even one piece, it would probably totally throw off the whole deal. Love this! Of course I want to bite this ring. Don't ask me why. Is it from seeing too many movies as a kid? Seeing old bearded prospectors taking a bite of a nugget? Who knows. And I hear that it's customary for Olympians to bite their gold medals. 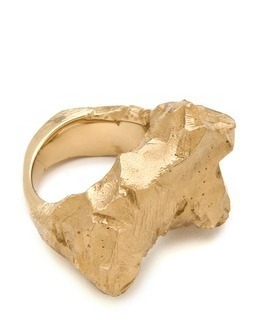 Anyway, this ring is to die for. And finally, Friday Faves wouldn't be complete without at least one edible! 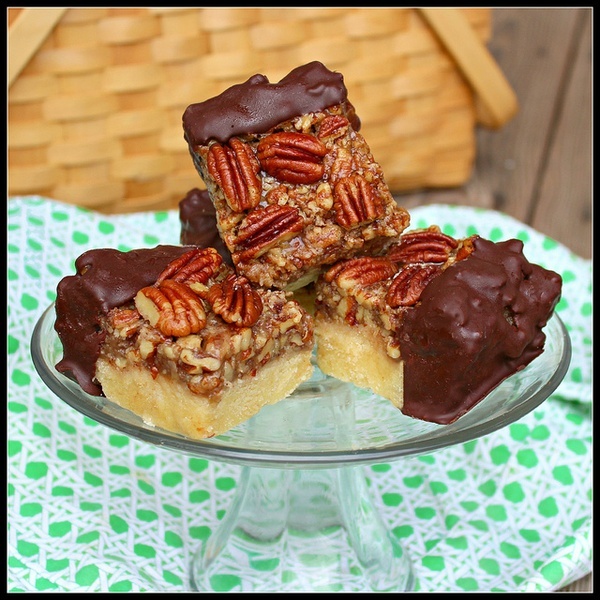 I called Aaron into the room to spy these Pecan Bars. (but do I even need to disclose that? I call him in for every bit of edible goodness that I find online!) I can't even stand it. And oh yeah, I want to bite these too! Ok, thanks again for tuning in. Me and Aar are already working on next week's Art Journaling with Jenny & Aaron class. We are so psyched! You def should relax this weekend!! Love the blog!!! Those cake postcards are the neatest!! Crazy idea turning into something awesome! you always post the cutest stuff girl! I love the "inspiration door"!